In the UK, children have to legally attend school primary and secondary education. Generally, Key Stages 1 and 2 will be undertaken at primary school. At 11 years old, students will move onto secondary school and finish Key Stages 3 and 4. Students are assessed at the end of each Key Stage. At the end of Key Stage 4, when students are aged 16, they must sit national examinations called GCSEs or General Certificate of Secondary Education. Once students complete their GCSEs they can either move onto Key Stage 5 (also known as further education). Key Stage 5 is required if a student wants to enter higher education (also known as university) after two years of further study. Alternatively, if students do not want to continue with their education, they can finish school at the end of Key Stage 4 and start work. There are, of course, a number of different types of schools in the British education system including state, independent (private), grammar and alternative. At My Tutor Club, our focus and expertise is solely on the independent (private) education system. In the UK school system, primary education begins at age 5 and continues until age 11. It comprises of Key Stages 1 and 2 under the UK education system. In the independent (private) British education system, primary education is conducted in pre-prep and prep schools. This is short for pre-preparatory and preparatory schools. Pre-preps are for children from aged 3 to 7 or 8 whereas prep schools are for children from aged 7 (or 8) to 11 or 13. These schools prepare students for entry to independent (private) secondary schools (or high schools). Pre-preps are day schools whereas prep schools can either be boarding or day schools. The difference between primary schools and pre-prep/prep schools is that primary schools are funded by the state whereas pre-prep and prep schools are all fee-paying. However, they cover more or less the same age range. Pre-prep schools start at age 3 or 4 and will then feed into prep schools at age 7 or 8. Prep schools, as their name implies, prepare students for entry to secondary schools, usually at age 11 for girls and age 13 for boys. In both cases, students will need to sit entrance exams to secondary schools. Students will either sit the exams set by an individual school(s) they are applying to or, and this is usually the case with boys, they sit an exam called 13+ Common Entrance. It is called 13+ because boys will be 13, turning 14, when they start secondary school. Another layer of complexity with the British education system is that while all girls’ preparatory schools finish at the end of Year 6 (age 11), some co-educational preparatory schools that feed independent secondary schools start in Year 7. In addition, many of the secondary schools that require 13+ Common Entrance to be sat at the end of Year 8, now also require students to sit 11+ pre-tests in Year 6 or 7, thereby offering places to secondary schools up to two years in advance and subject to passing 13+ Common Entrance at the end of Year 8. In the UK private school system, secondary schools (or high schools) go by a number of different names. Independent or private schools are not funded by the state but by tuition fees, endowments and gifts. 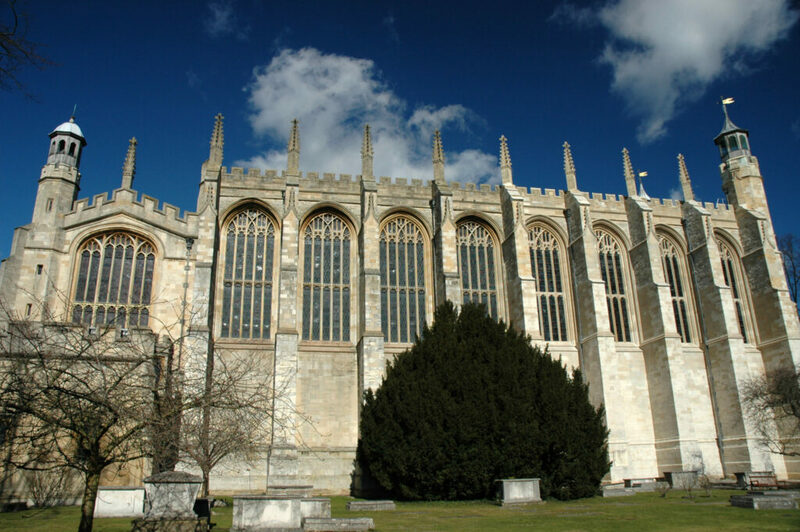 These terms are used interchangeably and cover public schools (such as Eton) to highly selective day schools (like St Paul’s) to small local junior schools. Independent schools are all private schools and the terms are used interchangeably. However, technically speaking, a board of governors or trustees oversees independent schools while other private schools may be run with no governing body and solely by the proprietor of the school. Public schools, despite their name, are in fact private schools, and are often the most expensive and oldest of the secondary boarding schools. The term ‘public’ is archaic, and certainly misleading, but it refers back to 1868 when a group of seven schools were given independence from the Crown, church or government and were instead allowed to have a board of governors. 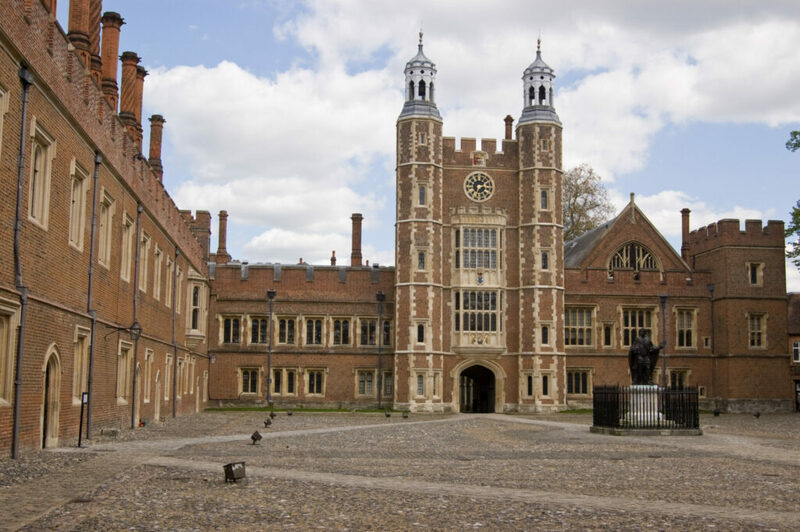 The seven original schools were Charterhouse, Eton College, Winchester College, Harrow School, Rugby School, Shrewsbury School, and Westminster. Today there are several hundred public schools, including girls’ and co-educational schools. Nearly all public schools have a proportion of day students too. While private schools are independent from government in terms of regulations and the setting of tuition fees, they must still comply with official standards of education, health and safety, and at the secondary level prepare students for the same nationwide exams that students sit in the state sector (such as GCSEs and A-levels). Most private secondary schools in the UK school system run from age 13 (Year 9) to age 18 (Year 13). At the end of Year 11, students will sit GCSEs or General Certificates of Secondary Education. Most students will sit between 9-11 GCSEs with the core subjects being Maths, English Language, English Literature and Science as well as standalone Biology, Chemistry, Physics, a Modern Language(s), History and Geography. GCSE results (which are graded from A* through to G) form an important component in university applications in Year 13. Years 12-13 are devoted to preparing for university applications. During these two years, students select 3 to 5 subjects to be examined at the end of Year 13. These exams are called A-Levels (or Advanced Levels). Many offers that students receive in Year 13 to UK universities are conditional on certain grades be obtained in A-Levels at the end of Year 13. The UK education system offers endless opportunities for international students across the whole school-age spectrum. In an increasingly interconnected and globalised world, spending part of one’s education in the British education system allows students to experience a different culture, perfect their English often with a British accent, be introduced to new subjects and make new friends from all parts of the world. Whether a student remains in the UK after their education or returns to his/her home country, they will have received a more-well rounded education that places not only a heavy emphasis on academics but also on sport, drama, art, computer science and music. They will have spent some of their most formative years in the UK school system and will undoubtedly form a bond and an affinity with the UK that will last a lifetime. How Much Does It Cost To Study In The UK Private Sector? Private independent schools in the UK comprise of boarding schools and day schools. Fees vary between institutions but generally speaking boarding schools are around £14,000 per term and day schools are around £9,000 per term (there are 3 terms in an academic year). Most private schools offer financial assistance in the forms of scholarships or bursaries for pupils who are either very able or can demonstrate the need for monetary support. Many independent (private) schools in the UK have also started campaigns to raise more funds for means-tested bursaries. It is important to remember that many of the leading UK independent schools place a very high priority assisting highly talented pupils with limited financial means. UK independent schools want talented pupils, whether that be academically, on the sports field or in music. So there is financial assistance for the most talented pupils. Furthermore because many of the independent (private) schools are run as charitable foundations, they are to a degree obliged to extend financial assistance to a certain number of talented children who came from less well off backgrounds. At My Tutor Club, we have helped families secure bursaries and financial assistance for their children to attend some of the leading independent schools in the UK. Contact us to inquire how we may be able to help you. We are experts in navigating the British education system and helping others to achieve placements at top schools. For further information on applying to the UK school system or to learn how we can assist you at every stage of the UK school admissions process, please contact us.